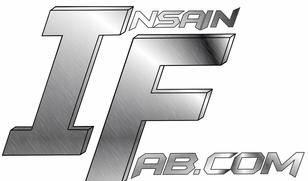 InSain Fabrication, LLC is a privately owned and operated fabrication business located in the colorful Colorado. As a North Carolina native, Corey Sain (owner), decided to take the plunge and move from North Carolina to further his 15+ year career in the NASCAR industry as a lead finish fabricator for the #78. Somehow, along the way, the dream to be independent was hatched and an influx of customers with fabrication needs in a variety of areas encouraged the InSain's to take the plunge into self employment.